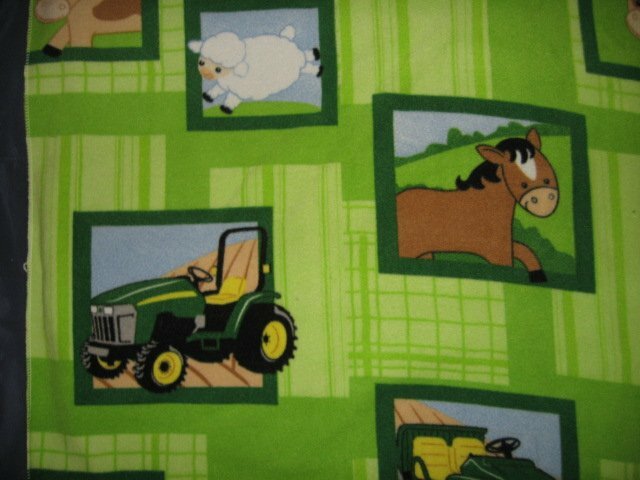 John Deere Tractor Farm Animal Patch Fleece baby Blanket 26" X 36"
John Deere Tractor Baby farm animal patch Fleece BABY Blanket 26" X 36"
This blanket is soft and lightweight. The edges are finished with serged stitching, and the corners are rounded.SMOKE FREE HOME of professional seamstress. All work guaranteed.